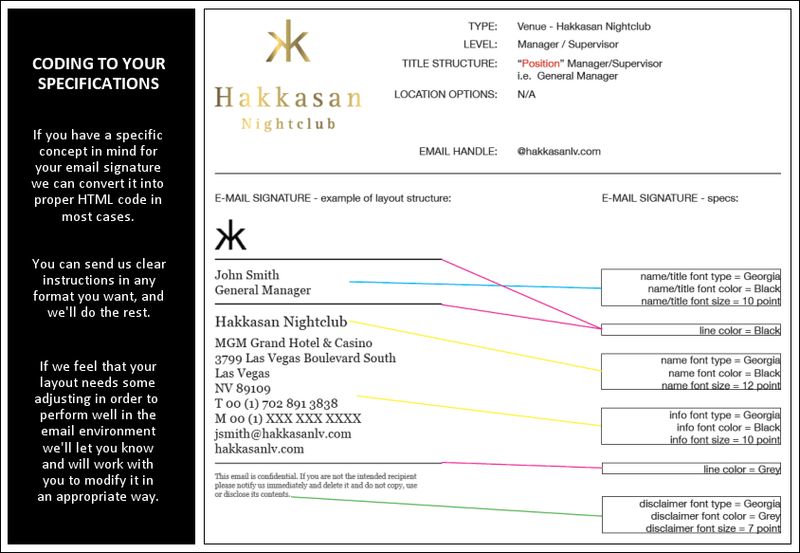 We’ve focused almost exclusively on the custom design and coding of email signatures since 1999. As a result, we have a large collection of extremely well field tested HTML code to work with. Email signatures are surprisingly difficult to code, and until they have been thoroughly tested across email clients / devices / operating systems / and configurations there is a great deal of uncertainty as to how well they will withstand the rigors of the email environment. For every project we employ the most appropriate and robust coding approach. Because we code everything by hand that we can almost always execute a signature that meets the most exacting desires of our customers - even if these are obscure or complex. If the layout is not technically viable, we’ll inform you of its problem(s). If the layout is viable, we’ll provide pricing for both HTML creation only, and also for full integration into our online email signature production & management platform. At that point, if you elect to have us proceed with the development, we generally turn projects around in less than 3 business days.